It underwent a name change this year to an impossibly long one that few care to learn, but at least the fair was once again a raging success, bringing the very best contemporary and handmade goods from around South Africa (and beyond) to the deserning yuppies of Johannesburg, and the few hipsters imported from Cape Town. 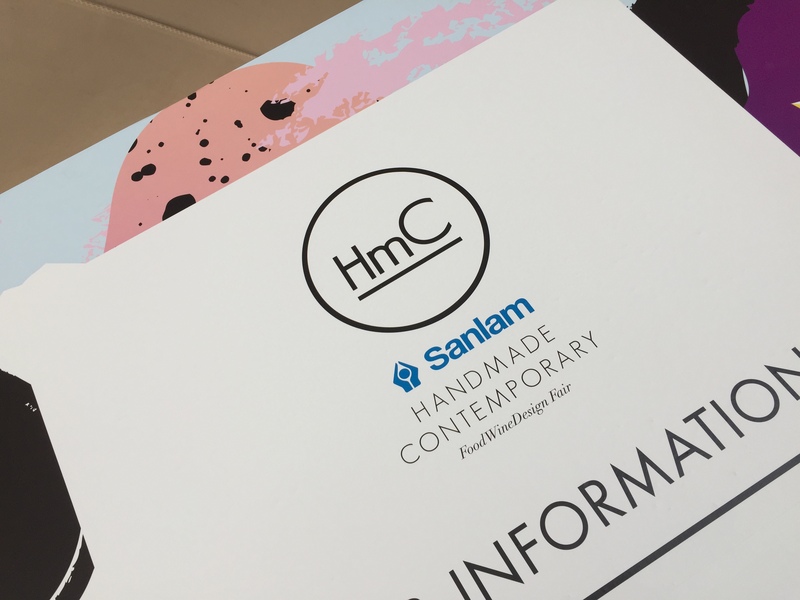 The Sanlam Handmade Contemporary Fair (AKA Food/Wine/Design) introduced some great handmade, and near-handmade goods, and here are a few of the best that I got to experience as Hyde Park Corner played host again this year. Overall, the experience was great – however, there was a notably decrease of design orientated stands, and an abundance of stands dedicated to food and alcohol. Is this the sign of the times, where people are not spending on niceties, but are willing to spend on food and drink? Anyway, whatever the reason, the fair was still great to attend – and here are a few of my top picks from this year. 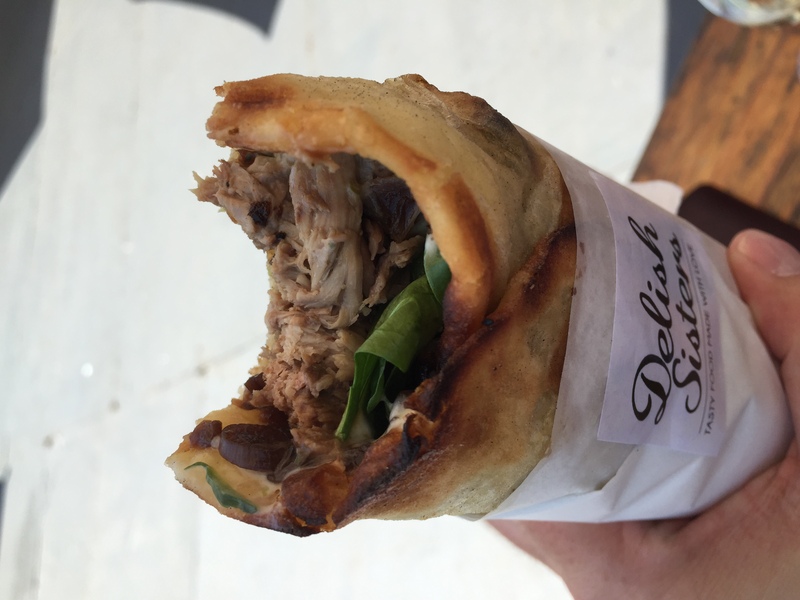 Undoubtedly THE BEST food item at this year’s fair comes from Delish Sisters, who were kept super-busy making pulled lamb roti wraps. From the queues extending 10 or more people at a time, their stand was very well supported, and for very good reason. Every aspect of this delicious lunch bite was perfectly done – the meat was tender, the roti well prepared and not oily, the vegetables were fresh and flavourful. 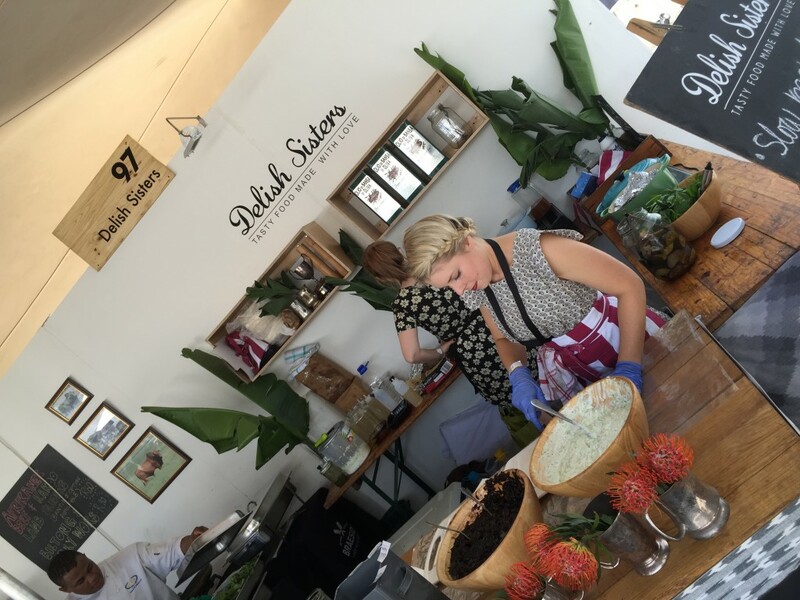 Fantastic and mouthwatering – call Delish Sisters for your year-end function – they won’t disappoint. Among the handmade designer goods, leather was very well represented – at least by two different companies – although my personal favourite of MatBlac was not in attendance this year. 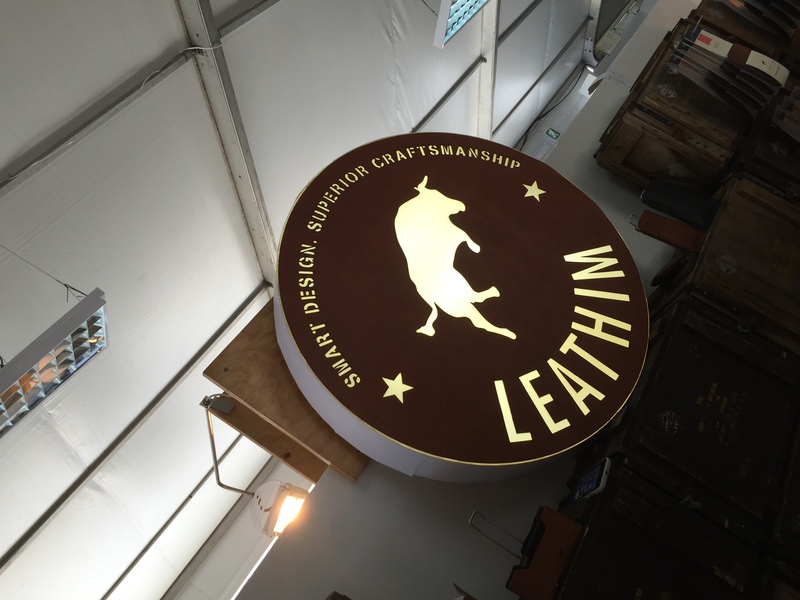 Leathim did however make a very good showing with extremely high-quality leather covers, wallets and fashion accessories. In addition they had a very cool wooden bluetooth Mac’ish keyboard – perfect for the denim and leathern wearing modern-hipster. While I thought it was cool – it seemed a tad gimmicky for me. 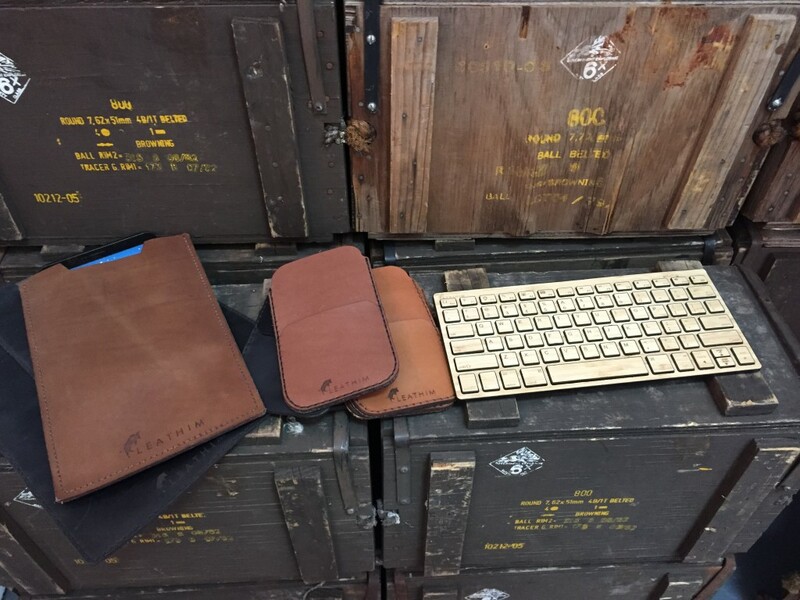 But all in all, Leathim proved to produce very well-crafted leather goods – but no iPhone 6 cases in stock sadly. When this hits your tongue, be prepared to scream “Oh My Gosh!”. 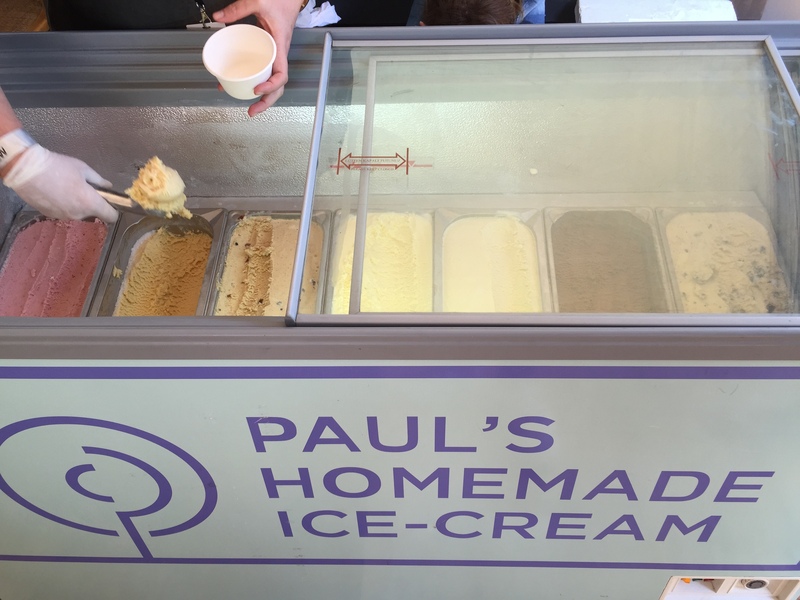 Yes, Paul’s Homemade Ice-Cream is the stuff orgasms are made of – and probably the only time men might ever experience multiple orgasms within a minute. 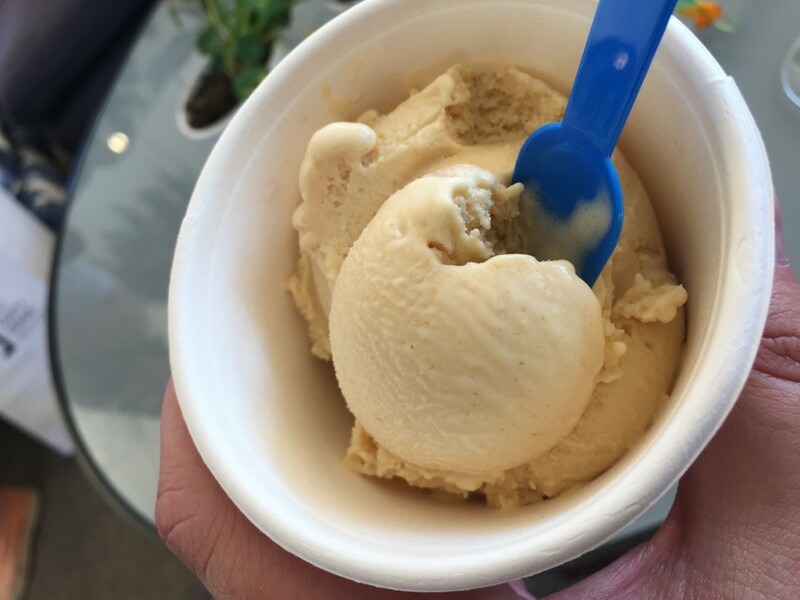 When Jenny Cryws-Williams broadcast from the fair on the Friday, Paul’s Ice-Cream was interviewed and they brought along the fried banana flavour. To hear how old Jenny went on and on about it, it was clear that if it could make a woman of her age gush, then it must have some sort of superpower – and yes, it certainly does. Having experienced ice-cream from different places around the world that profess to have the best ice-cream in the world (most notably Rome, New York, Singapore and Paris), I have to state that Paul’s ice-cream is right up their with some of the best in the world (but Rome probably remains my number 1 – Il Gelato di San Crispino). Whisky baby! And when is comes to hand-crafted, Highland Park certainly knows its stuff. They are known to be one of the very few Scotch whiskies that still do things the same way back when they first started, taking great pride in using traditional labour-intensive methods to produce what has been consistently awarded the best spirit in the world. 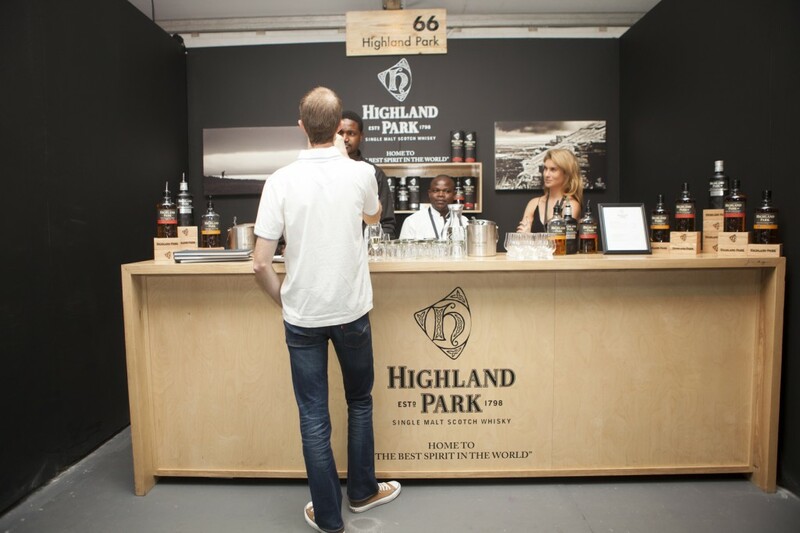 So, this year, Highland Park chose the Handmade Contemporary Fair to launch their Dark Origins series – a new whisky expression dedicated to the distillery’s founder Magnus Euson – who, by day was a upstanding member of the Highland community, but by night, an illegal distiller (hence the title of Dark Origins). To add more excitement to the whisky drinking experience, Highland Park had one of their smoking chambers handy. 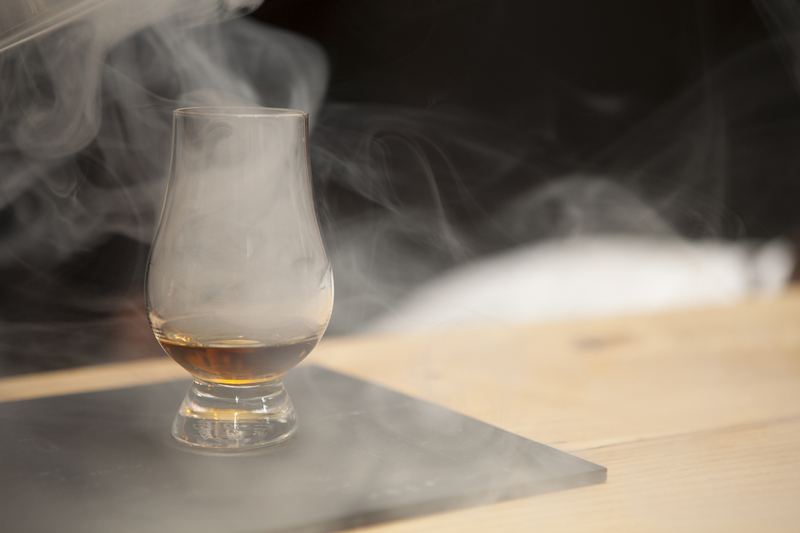 To bring out the natural smokiness of the liquid, the whisky is poured into a glass, and then placed within a special smoking chamber. 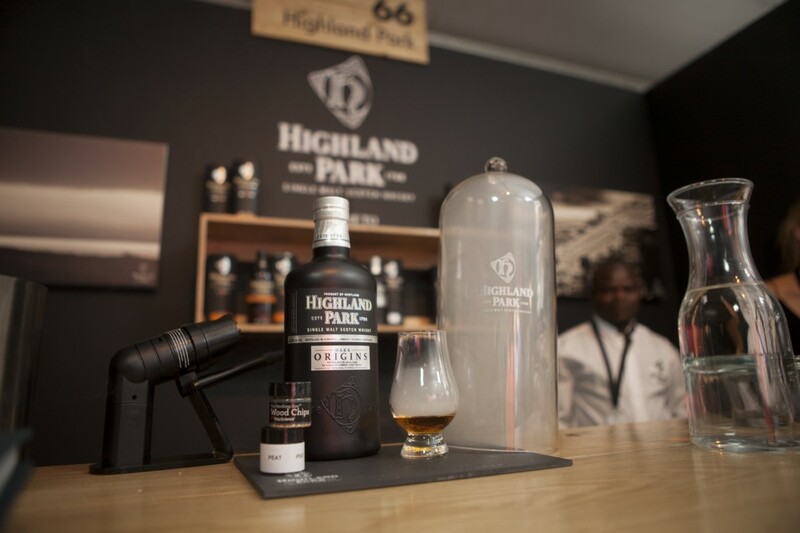 A small amount of the incredibly rare Highland Park peat is placed within a burner, and the smoke is them pumped into the chamber where is collects within the glass and interacts with the liquid. The combination of the peat-smoke in the air, as well as in the glass and liquid brings out the rich flavours of the dark origins expression. Want a bottle of Christmas? Well, there is very, very limited stock available, so best get your arse through to Makro to order. Inverroche Gin – Fynbos style! But if whisky in not your thing, and your are more into Gin – here’s a gin with a difference, and one that South Africa can claim to be its very own. 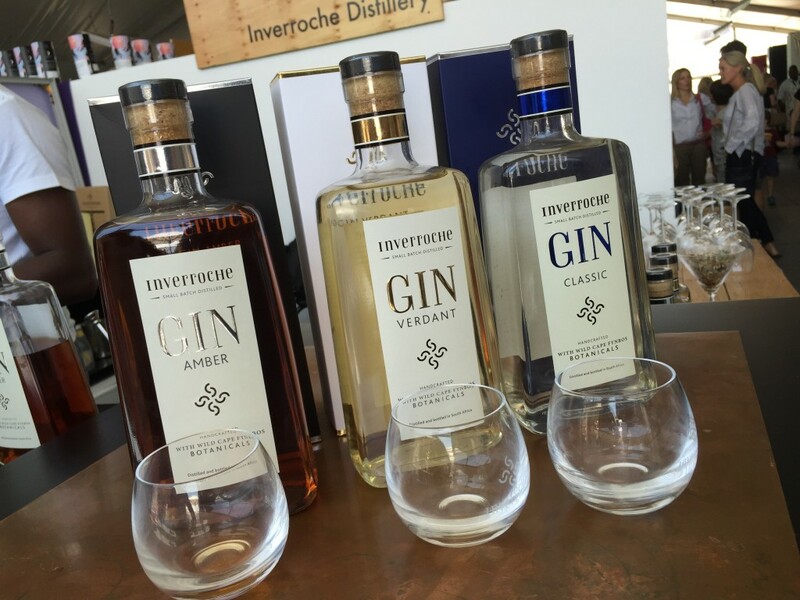 Inverroche Gin is made in Stillbay, and uses the fynbos growing in the region to produce small batches of gin. 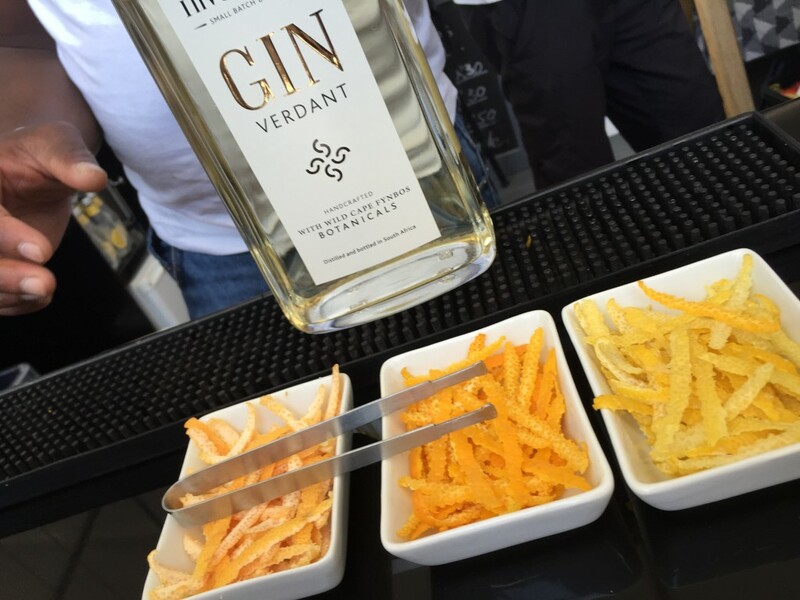 With 3 different expressions, the classic Gin, the Verdant Gin, and the Amber Gin, Inverroche’s Gin has the corner market when it comes to homegrown high-quality hand-crafted spirits. 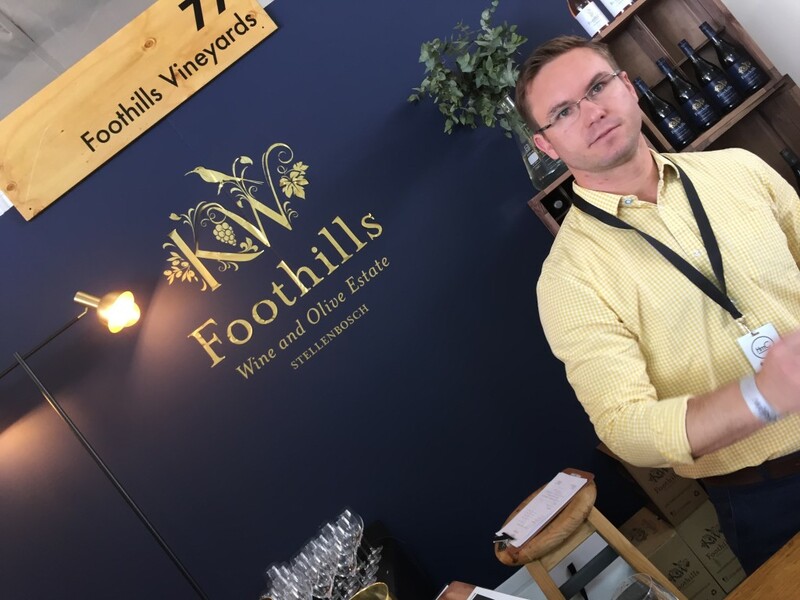 Well, Food/Wine/Design wouldn’t be complete without wine, and while there were a tonne of wine farms in attendance, the one discovery I made (shamefully while drinking a glass of Iona) was the Foothills Wines. The Foothills Vineyards are situated on the Klein Welmoed estate in Stellenbosch – in the heart of South Africa’s wine making country. After reading through all the wines they had to offer, the most exciting on offer was The Partners 2013, however it seems that everyone had the same idea, as this was sold out. 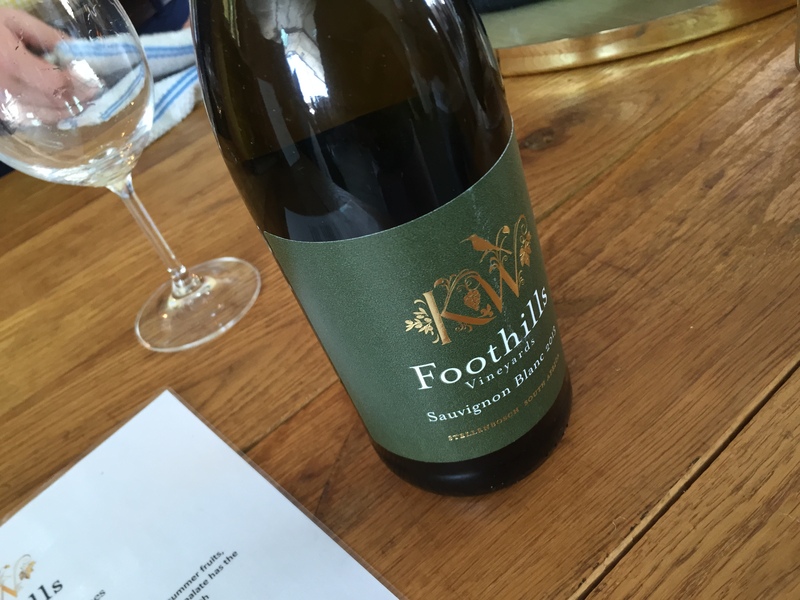 So, I defaulted to the 2013 Sauvignon Blanc – a particularly crisp white wine, with strong notes of guava, passion fruit and apple – reminiscent of the wines from Springfield actually. As white wines go, this is certainly one of my new favourites and I have stocked my fridge with a few bottles, just in time for the impending Jozi heatwave. To view more of the wines on offer from Klein Welmoed, visit their website. 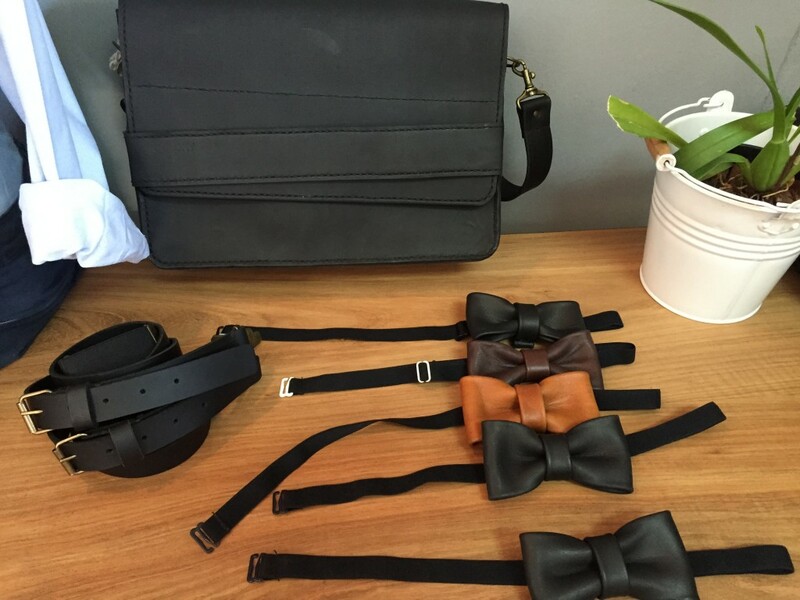 While it may look like its on a bra strap, this leather bow-tie is practically perfect for the modern day hipster formal wedding. Leather is in, and not just for bikers, strip-artisists, and 50+ year-old women re-re-re-reading 50 Shades of Grey. The second stand to offer leather goods, Colony Design also produces an array of leather items, but with a distinct tailored finish – different from the raw look of Leathim. 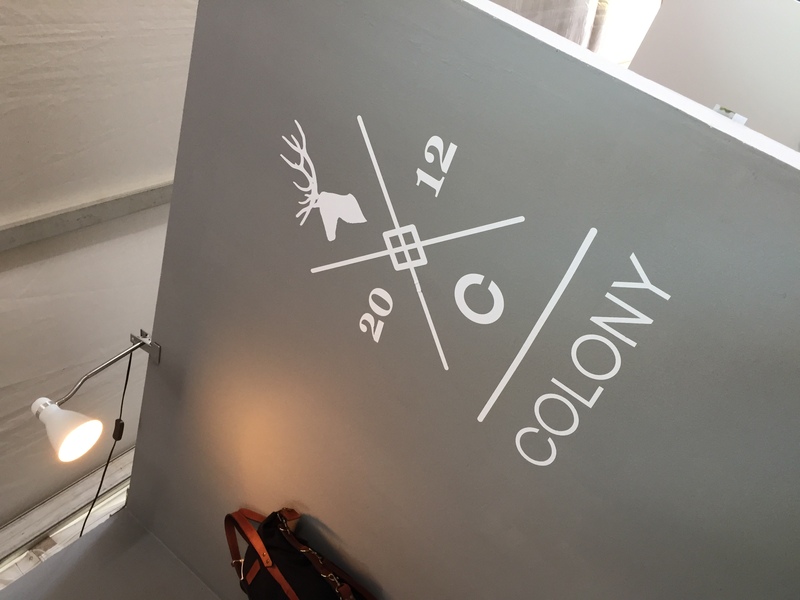 So, if you are into leather, and like it smooth with a modern-twist (no I am not talking about a gin cocktail here), then try Colony – its the leather shop for the discerning hipster. For more from Colony, here’s a link to their website. Great coffee…if you are a hipster. But even if you’re not, still good coffee. It was nice to see the guys venture away from their wooden abode in Braamies, and bringing their beards, tats and thick rimmed black specs to the upmarket halls of Hyde Park – even if it was only for a couple of days. So after a long day of walking around, perusing the handmade goods, throwing back the wine, and stuffing your face full of food, it was good to wash everything down on the way out with a coffee that I knew and loved. Yeah, and it really was a good coffee from there….gosh! 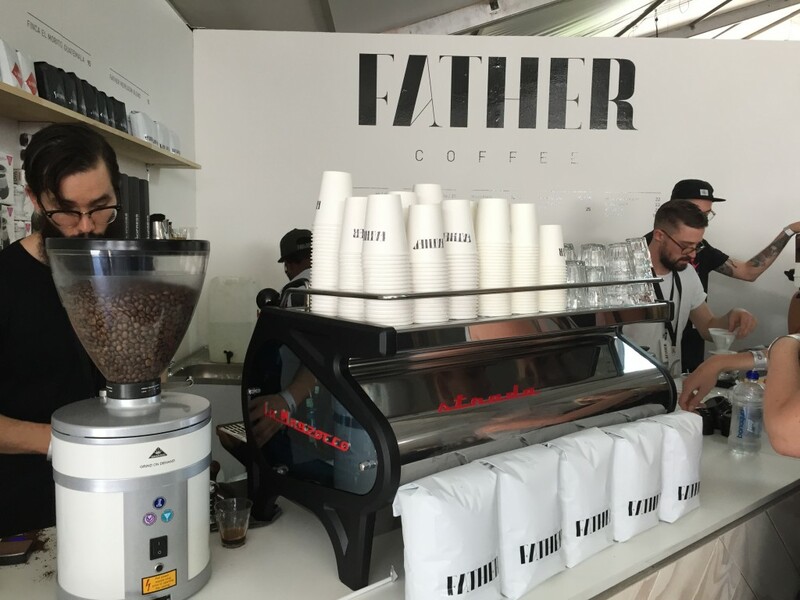 A bit more info on Father Coffee can be found on their website. Yeah, we are running out of space. And unlike Dr Who, we simply won’t have living spaces that are “bigger on the inside”. 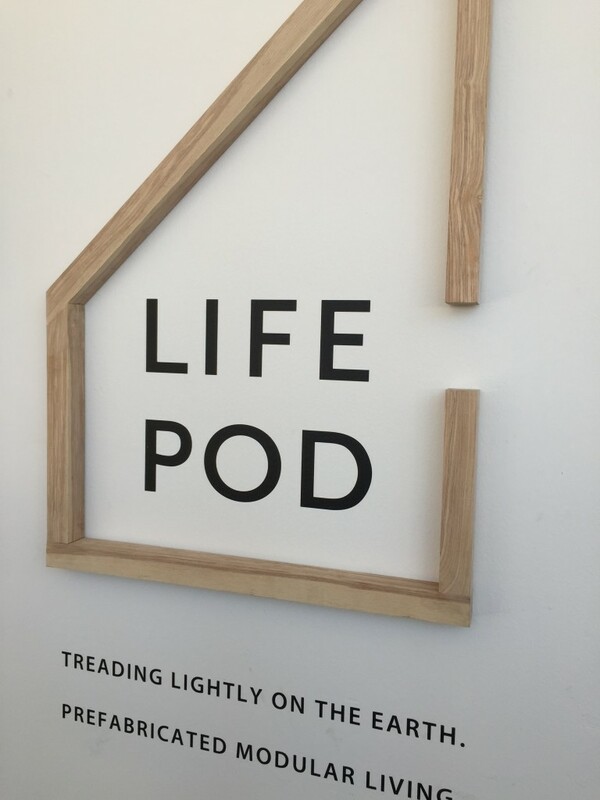 So, when it comes to micro-living, try the prefabricated Life Pod – its the concept space from Indawo. Labeled as luxury nano-living…yeah right – that’s if your a midget billionaire…this theoretical modular self-assembly unit comes complete with a nano-kitchen, nano-toilet, nano-bedroom, and yes, you guessed it, a nano-lounge. 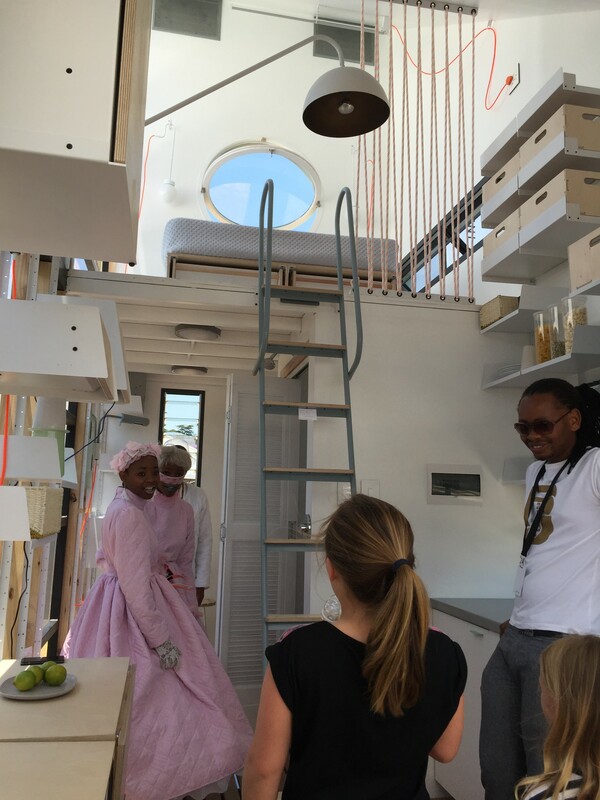 Its a great concept, if you live in London, Singapore, Manhattan, or New Delhi where space is an extremely rare commodity – but with the space we have in South Africa, and Africa, I am not 100% sure that this is really going to catch on. Just too airy-fairy, too woo-woo. Cool, but….meh.